Work injury compensation for nurses and aged care workers. That's our specialty. If you’ve been injured on the job as a nurse or an aged care worker, we’ll help you get the maximum compensation payments available to you. Our specialist work accident injury lawyers ask more questions and get to know you personally, so you’ll get more compensation. As a nurse or an aged care worker you’re faced with many situations, such as patient handling, that can put you at risk of injury. We understand that you work in an environment where you need to deal with situations as they arise and you can’t always be prepared for them. But getting injured is not part of your job, so if you’re suffering from pain or an injury that has resulted from your work in nursing or aged care, you should notify your employer right away so that a workers compensation claim can be lodged. Once you have done that, it’s a good idea to talk to a specialist workers compensation lawyer who has experience with claims similar to yours, to get a better understanding of your entitlements. As a nurse or aged care worker you’re regularly in situations that can cause physical injuries, but these injuries don’t necessarily happen as a result of an accident – they can occur over time. Many injuries result from incidents like lifting a patient after a fall, especially when patient lifting equipment isn’t available, and other situations where your own safety is compromised. We also understand that issues like back pain can get gradually worse over a long period of time – but with the right medical evidence this can be linked to work-related activities. 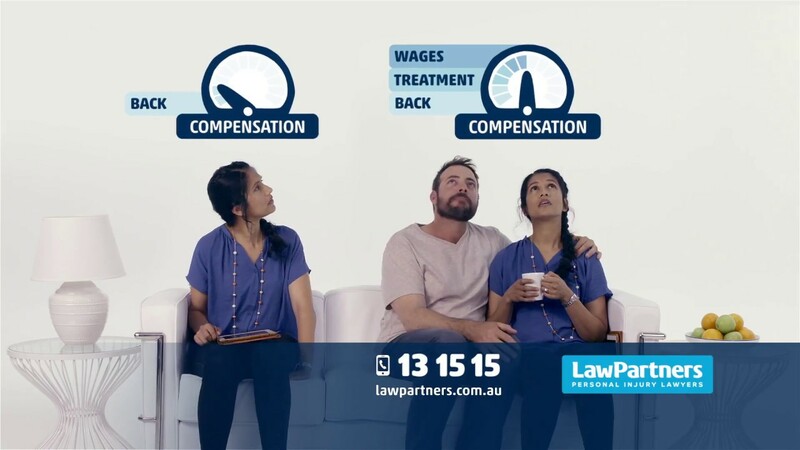 At law Partners we have extensive experiencing helping nurses and aged care workers claim compensation, and our specialist lawyers are available to provide free advice over the phone on what you can claim. Are there time limits for treatment I can claim for? The length of time the insurer has to pay for your treatment costs is dependent on your level of whole person impairment (WPI). If your level of WPI has not been assessed, the insurer will pay for treatment for at least two years from the date of your injury or two years from the last date you received weekly benefits (whichever is later). Once your level of WPI is assessed, this entitlement may be extended depending on the extent of your impairment. What's a section 74 notice? The insurer is not required to simply accept and pay for your claimed injuries without question. If it’s not prepared to admit liability, it can issue you with a notice under section 74 of the Workplace Injury Management and Workers Compensation Act 1998 (NSW) and deny liability for your claim.